Maestro Allan Pollack has guided the Mendocino Music Festival as Artistic Director and Conductor since the first note was played in 1987. Over the years, memorable performances have taken shape under his baton including Verdi’s Requiem, Brahms’ Requiem, Beethoven’s 9th Symphony, Mahler’s Das Lied von der Erde, and Stravinsky’s Rite of Spring. In addition to leading The Festival Orchestra in the classics, Mr. Pollack has conducted many fully staged operas. 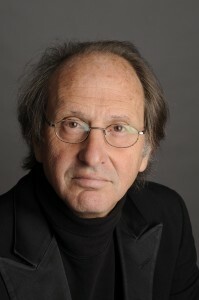 With a Ph.D. in composition from UC Berkeley, Maestro Pollack has composed a variety of pieces especially for the Festival Orchestra and musicians: The Spiral Dance for chorus and orchestra; Two Movements in Time for orchestra; From the Song of Songs for soprano and orchestra; A Summer Evening at the Boonville Fair for orchestra; Albion Song: Jazz Concerto for Saxophone; a Vibraphone Concerto; and a String Quartet. As a jazz musician, he leads the fabulous Festival Big Band and sometimes takes a solo on saxophone. Allan is also Music Director and Conductor for Symphony of the Redwoods. Pianist Susan Waterfall creates yearly multi-media, narrated settings for chamber music for the Festival. These have included: Voyage a Paris (2001); Argentina: Gauchos and Tangos (2002); Bartok’s Women (2003); Tales of a Parisian Salon: Winnaretta Singer, Princesse de Polignac (2004); Young Brahms (2005); Scandalous Music! Satie, Ravel, Debussy, and Stravinsky (2006); Leos Janacek: A Solitary Genius (2007); Degenerate Music! Kurt Weill, Schoenberg, and Hanns Eisler in Weimar Berlin (2008); They Left A Light, Masterpieces from Nazi Prison Camps (2009); Hallelujah America (2010); Irresistible Grooves (2011), Music for a Teahouse (2012), with Wu Man, compositions of Bright Sheng, Tan Dun, and traditional Chinese music; and Umi no Hi (2013), an entire day of events celebrating Japan’s contemporary and historic music and culture, featuring the compositions of Toru Takemitsu. In 2014, she designed and performed in the four-day Bach Fest, featuring lectures and concerts. With Mozart in Mendocino (2015), the Beethoven Tribute (2016), Understanding Schubert (2017), and Chopin: Dreams and Memories of a Lost Homeland (2018), Waterfall continued her in-depth exploration of the music, life, and cultural milieu of a major composer. This summer, Waterfall’s focus on Brahms will offer an array of programs designed to provide the listener with an understanding of Brahms’ pivotal role in Western music and culture. Waterfall studied piano with Ivan Moravec and Karl Ulrich Schnabel and musicology with Roland Jackson and Glenn Watkins. In the 1970s Susan lived, studied, and performed South Indian Classical Music with the legendary Dhanammal family in Madras (Chennai) India. Susan brings an enhanced sensibility of the role of music in culture to all of her concerts. Susan and Allan are the parents of the acclaimed jazz pianist Julian Waterfall Pollack. 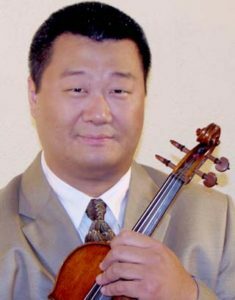 Noted for his compelling musicianship, instrumental mastery, and inspiring teaching, Jay Zhong is regarded by many musicians as a virtuoso violinist and esteemed instructor. Jay’s musical gift was evidenced at age 14, when legendary violinist Nathan Milstein heard his playing and exclaimed: “Why spend millions of dollars on a Stradivarius when one can make an ordinary violin sound so good? !” Two years later, through an arrangement made by Milstein’s manager Harold Shaw, Jay began his career as a professional violinist by performing a solo recital on the main stage of New York’s Carnegie Hall. A seasoned violinist now, Jay has performed on four continents and earned international critical accolades for his solo recitals in many capital cities of the world. Possessing a combination of formidable instrumental command and insightful musicality, Jay has captivated audiences and musicians alike with his performances. The Washington Post described “Zhong’s Virtuosity” as “nimble and unassuming… restrained but incisive, and without the bombast that some performers find so irresistible.” Brussels’ Le Soir hailed him as “chinois solar”; California’s Pacifica Tribune called his rendition of Brahms’ sonatas “a golden exploration”, while his performance of Beethoven won similar praise from El Colombiano of Medellin: “Jay Zhong, super-violinist, with interpretation worthy of an analogy…” Recently, Jay has joined a short list of violinists who had recorded Eugene Ysaÿe’s complete Sonatas for Solo Violin, Opus 27, one of the most demanding works in the violin repertoire. Jay’s musical sensitivity has made him a desirable chamber partner for fellow musicians. He has been on the roster of the International Chamber Players, Inc. and Bogota International Music Festival Chamber Ensembles, and has collaborated with well-regarded musicians from his generation, including pianists Yuan Sheng, Audrey Axinn, Robert Koenig, violist Hong Mei Xiao and Hui Liu, and violinists Xiang Gao and Keng Yuen Tseng. While serving as first violinist of the Julstrom String Quartet, he has toured with that ensemble extensively and recorded rarely heard chamber works by Rebecca Clarke (Centaur label 2007). Known for her flexibility of style, Jenny Matteucci performs, directs and conducts in many different venues all over the San Francisco Bay Area. 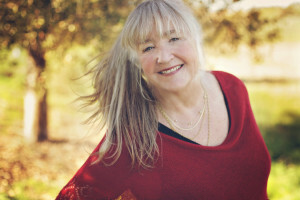 For the past 25 years, she has conducted choirs for the Diocese of Oakland and for the Tri-Valley Repertory Theatre’s Broadway Chorus, a group of 100+ singers of all ages, singing the music of Broadway. She and her husband, Daniel Lockert, team up for master classes for such organizations as the National Association of the Teachers of Singing (NATS) and Lamplighters. As an educator, Jenny is part of the voice faculty of Notre Dame de Namur University and also runs a busy private voice studio in her home. 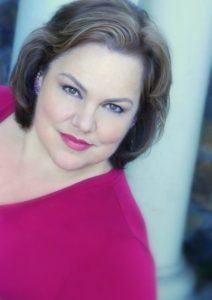 She holds a BFA and MFA in Vocal Performance from Notre Dame de Namur University. For NDNU, she recently directed The 25th Annual Putnam County Spelling Bee (Broadway World nominee for best director), was assistant director for Lettice and Lovage at Hillbarn Theater, and was co-director for De España Vengo at NDNU. Her passion for vocal and choral repertoire has inspired her to create many cabaret-style and small venue shows. Singers and theater-goers might recall Julie’s master classes and workshops with the Mendocino Music Festival, Gloriana Theater Company, and the Mendocino Women’s Choir, as well as her role as Maria Callas in Master Class. Her past appearances with the Festival include Mimi (La Boheme), Donna Anna (Don Giovanni), Nedda (I Pagliacci), and the title roles in Tosca and La Fanciulla del West. As a young singer, Jenny relocated from Davis, California to San Francisco to study at the San Francisco Conservatory of Music and soon became active in the San Francisco theatre and cabaret scene, where she continues to perform today. Her recent appearances include: Beauty and the Beast (Madame de la Grande Bouche) at Berkeley Playhouse; Chicago (Mama Morton) at Woodminster Summer Theater and Stage One; Berlin to Broadway with Masquers Playhouse; Little Women (Marmee); The Light in the Piazza (Margaret) with Notre Dame de Namur University; Master Class (Sharon) at Hillbarn Theater; The Marriage of Figaro (Marceline); Side by Side by Sondheim featuring Angelina Reaux, for Tri-Valley Repertory Theater Company; and I Love a Piano at the Douglas Morrison Theater. Her greatest passion is to perform her cabaret show, For the Love of…, along with her husband. Recently, Jenny played herself in the Craig Bohmler/Marc Jacobs musical All the More to Love, which was based on the real-life, plus-size consignment store of the same name that Jenny owned with her mother, Erna. Jenny lives in Oakland with her husband, Daniel, and is the proud mother of two adult children, Will and Beth. See our most recent season lineup! Twenty-seven concerts, from blues to bluegrass, symphonies to opera, and jazz to Celtic and African, packed into just over two weeks every July.